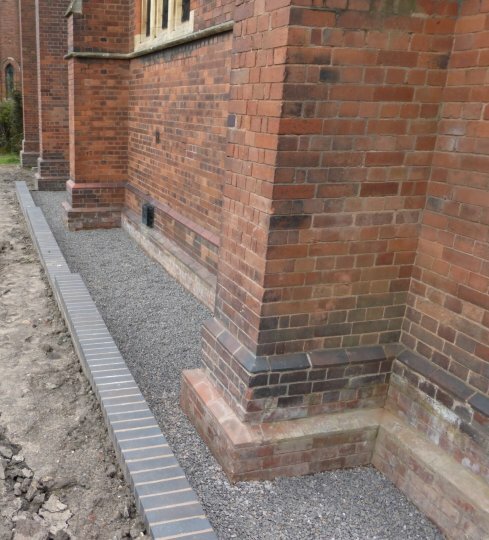 In late 2016 and early 2017 the PCC carried out a project lowering the ground level and installing a French drain around the apse at the east end of the church and beside St Patrick’s Chapel. 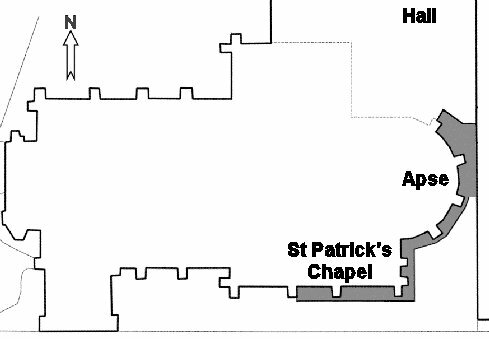 The work was needed to mitigate damage to the fabric of the church from penetrating and rising damp which had becone severe. It was found that the ground level outside the church was actually higher than the floor level inside in some places. 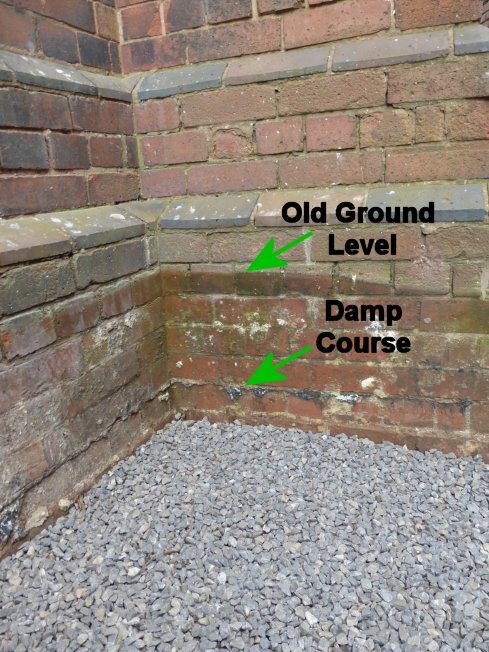 Investigations revealed that part of the problem has been caused during construction of the foundations for the church hall in 1984, when the main drain was damaged and had since then been leaking into the ground. Some of the drains carrying rainwater from the roof had beed blocked by roots and were also leaking into the ground. 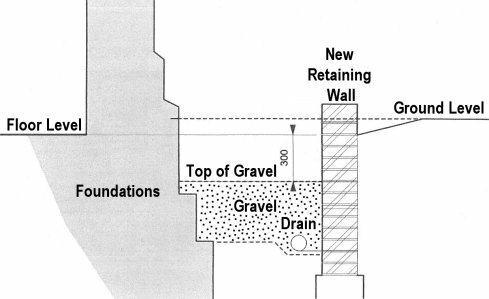 The excavation for the French drain revesled the original slate and bitumen damp course of the building. This work was funded from PCC reserves (from bequests) and LPOW VAT offset grant.